Cheese without the dairy? Yes, it’s a thing…and yes it’s simple to make or buy! For many vegans, finding alternatives to dairy cheeses are not a struggle, but finding tasty options are! We’ve compiled a list of our top 10. These cheeses range anywhere from homemade to store bought…and don’t worry we’ve got a few recipes up our sleeves for you to try at home to set your own bar! This cheese is great for use as a spread and is simple to make. Vegans love this option since you can add your favorite spices to top it off! A great recipe by One Green Planet can be found here. 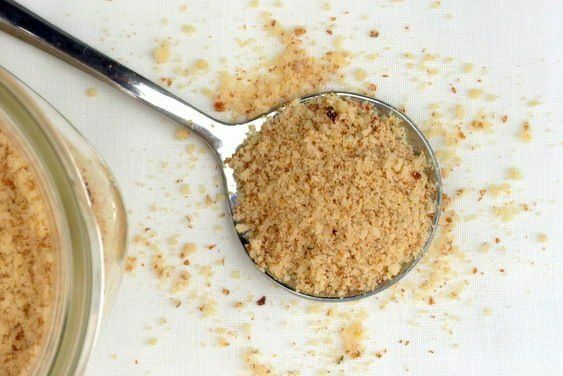 While very close to raw cashew almond cheese, this option contains cashews and cashews only! This can also be prepared gluten free. A yummy recipe is available via the Colorful Kitchen here. A good tasting vegan cream cheese can be hard to come by. By adding garlic and herbs, you are able to offset the expected taste of dairy with your favorite topping! 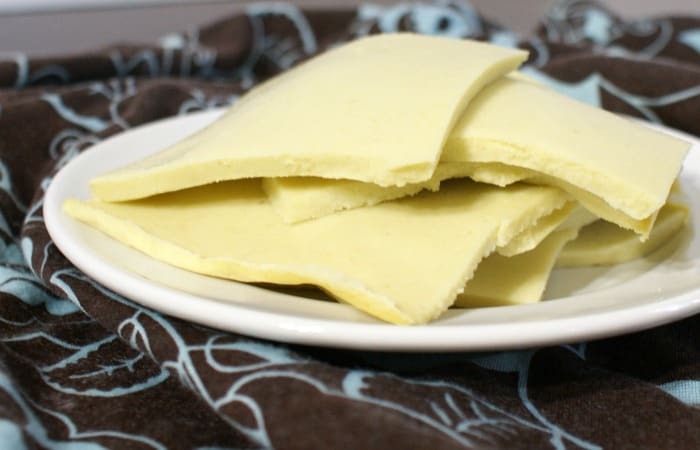 The great thing about this vegan cheese option is that it can be made soy and nut free! Unlike the others, it is more of a firm cheese versus a spread, which is great for use in sandwiches or to shred. If you have allergies or like to steer clear of too much soy, this is a great choice. Check out this recipe with video at Cooking With Plants. If you’re looking for vegan and low carbs, this is the right recipe for you. Zucchini just is pretty much just what it sounds like! A quick mix of zucchini, water, coconut oil, lemon juice and a few seasonings and you’re on your way! Check out this great recipe from Low Carb Yum. This option is definitely a time saver. The recipe we’ve dug up for you only takes about 5 minutes to complete and is a great replica for the typical dairy option, texture and all! Healthy Slow Cooking has a simple recipe here. If you’re in a hurry or on the go, try the Parma! brand at Walmart for a packaged version of a vegan parmesan cheese. Tired of cooking? 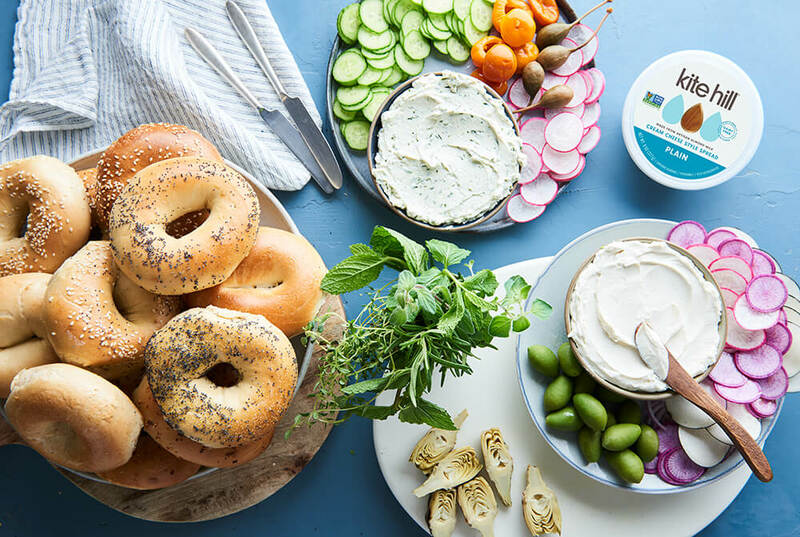 Kite Hill brands provides vegan, dairy fee options made from almond milk that can be used as spread for bagels, baked goods and any other food that your vegan heart desires. Ever heard of fermented tofu? If the answer for you is no, now you have! 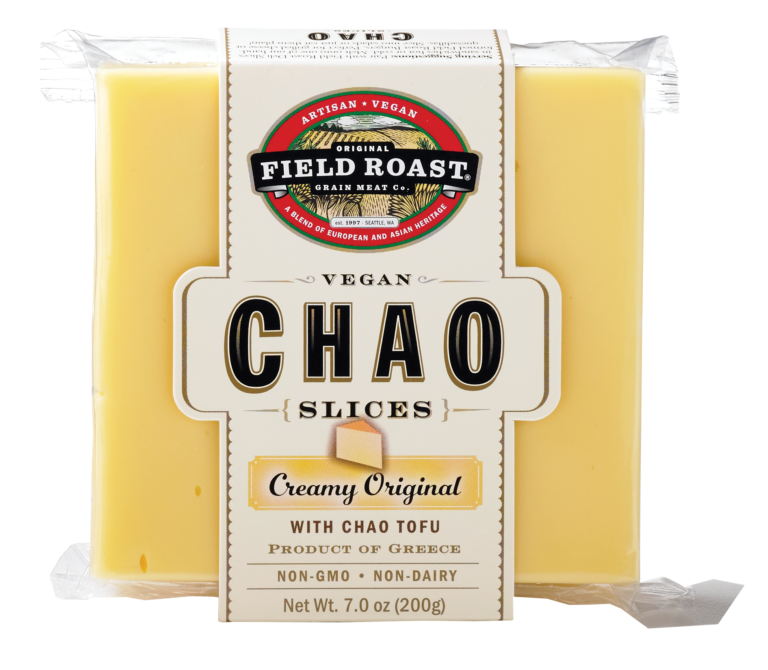 Chao cheese slices are made completely vegan and are prepared by fermenting tofu and adding ingredients such as coconut to then cook, pour into loaves, label, package and serve! Give it a try for yourself and check out Field Roast’s website here. Whether you are vegetarian, vegan or flexitarian, we’re sure that one of these cheeses will cater to your taste buds! Header Photo via Nest and Glow.